Are you with us? More than 5,000 babies will die this year in PNG. Help us by donating to HMHB: Research to Save Lives. 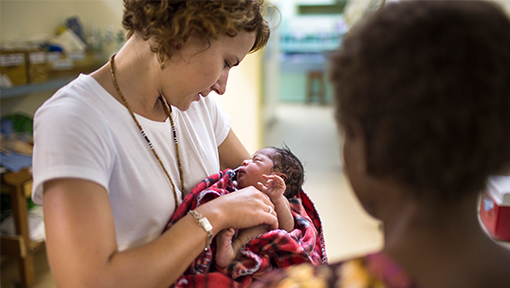 Your support will help saving lives in Papua New Guinea through Burnet’s groundbreaking research program, Healthy Mothers, Healthy Babies. Donate today to HMHB: Research to Save Lives and help make our vision a reality. Our research studies are underway in Kokopo, East New Britain. The HMHB laboratory has been fitted out but there is so much more to do … are you with us? What is Healthy Mothers, Healthy Babies? Burnet’s ground-breaking program aims to define the major causes of poor maternal, newborn and infant health in PNG. Through research and partnerships we will identify and implement effective interventions and strategies that dramatically improve the health of women and their newborns. The HMHB research studies underway aim to quantify the burden of infections such as malaria, genital tract infections, blood-borne infections and tuberculosis (TB), as well as anaemia and poor nutrition. High quality, innovative research is crucial to ensuring that the most effective interventions reach those most in need in PNG in a highly cost efficient way. 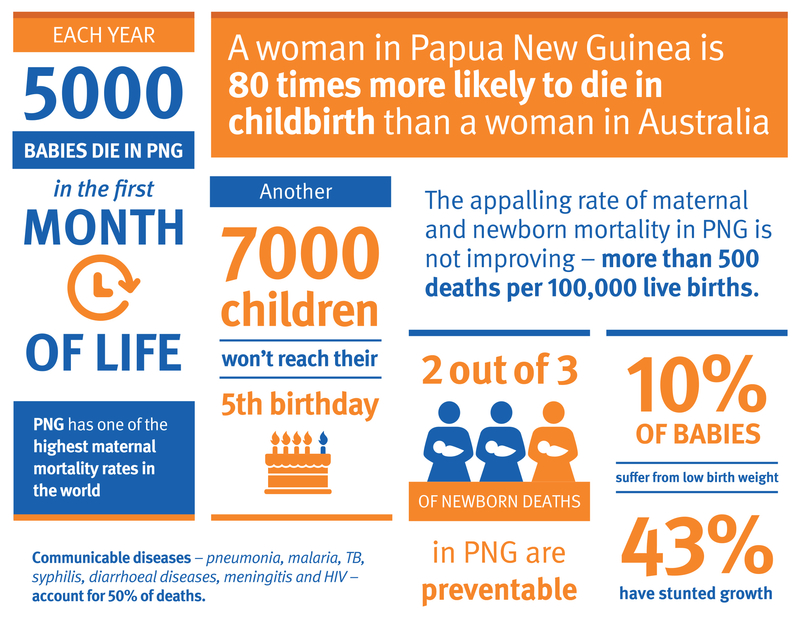 This year, more than 5,000 babies will die in PNG in the first month of life. Another 7,000 children won’t make their fifth birthday. Burnet Director and CEO Professor Crabb’s dedication and passion for improving the health of poor and vulnerable populations has been influenced by growing up in Papua New Guinea, a poor country that has many health challenges not faced in the developed world. My focus is on the poorest, most marginalised and vulnerable people in our community and around the globe. Despite enormous progress achieved in saving lives through medical research and improved health systems, our community, and especially the developing world, still face major health challenges. If you can help, please donate today and help us start Research To Save Lives! "The appalling rate of maternal and infant mortality in PNG is not shifting - that is why we urgently need support for our Healthy Mothers, Healthy Babies program. Support HMHB: Research To Save Lives to help us take the next step.